When it comes to sexual harassment in the workplace, you can’t be too careful. HR Daily Advisor gives you background on the federal and state guidelines and essential elements of an anti-harassment policy and program. Get analysis, news, training tips for managers and employees, and more. In November 2018, tens of thousands of Google employees around the world walked out in protest over the company’s handling of sexual harassment claims, among other grievances. Employers in New York City are under pressure to have employees trained under the city’s new sexual harassment prevention law. Sexual harassment policies need to be clear and complete, but the policy must then be followed by a strong and active training program. The following is an open letter to Arizona Attorney General Mark Brnovich. 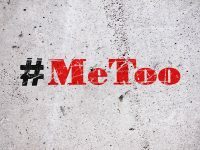 Allegations of sexual assault and harassment in the workplace have gained increasing attention since the recent #MeToo movement. But even before the recent uptick in focus on such allegations, these issues have posed many challenges for employers and HR professionals. Bullying comes in many forms. Traditionally, when people think of bullying, they think of a kid getting picked on by older peers on the playground or someone spreading rumors online. The reality is that 82% of bullying occurs in peer-to-peer situations, which can continue into adulthood and even into the workplace.